Welcome! We are here to help you with the many processes, regulations, and timelines that international students and scholars have to manage related to your status, work, travel, dependents, etc. We know that there is a lot of information out there, and it can get quite confusing at times. Let us be your resource to help make sense of it all. We want to help you adjust to life here in Waco and in the U.S. 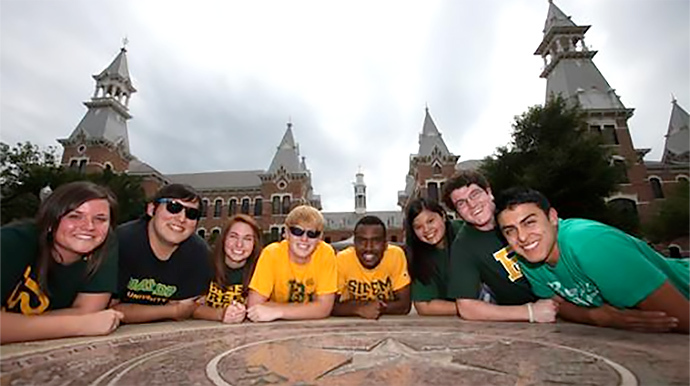 In order to accomplish that, we plan many programs and events that will help you enjoy your time at Baylor. These events include international orientation, trips around Texas, special events, and holiday celebrations. Also, we provide the PAWS Student and Family Program that matches internationals with American students and families, so if you are looking for a chance to really get to know Americans, sign-up for the PAWS Program! We hope that you have a great experience at Baylor! We look forward to getting to know you and to helping you however we can, so please do not hesitate to contact us at ISSS_Support@Baylor.edu or by calling 254-710-1461.